Jasia Kiersnowski is a producer and writer and is currently based in her hometown of Toronto, Canada. She also specializes in Music Clearance and Licensing, Social Media Management, Blogging, Audio Editing and On-Air Presentation. She earned her B.A. in Radio & Television Arts from Ryerson University in 2007 and since has worked in television as a Music Coordinator for So You Think You Can Dance Canada and a Music Supervisor for YTV’s Zoink’d. As well, she has assisted on various films such as Rodrigo Gudiño’s The Last Will and Testament of Rosalind Leigh and the highly stylized documentary Super Duper Alice Cooper. She currently acts as the Social Media Manager and Q&A host for Ekran – Toronto’s Polish Film Festival. Jasia’s true passion lies within music, traveling and the people she has encountered along the way. Her drive and enthusiasm to share stories has led her to wander all over Europe, Canada and the USA documenting artists, DJs, music producers and industry professionals from different walks on life and various places around the world. She is most proud of her collaboration with the not-for-profit organization Barefoot Workshops in Clarksdale, Mississippi. 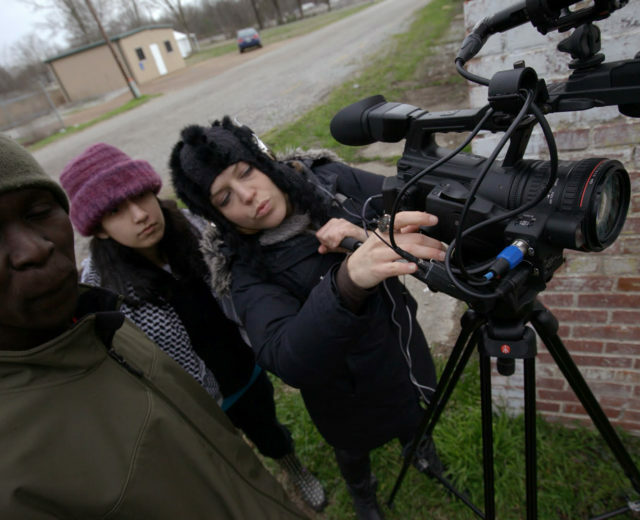 There she spent four weeks story producing, editing and shooting a short documentary about Delta Blues musician Lala Craig in LaLa Land. On the side, Jasia has also been building her portfolio as a freelance producer for various publications and independent video projects. Her past work includes: Ekran Toronto’s Polish Film Festival, MTV News Canada, Smokebomb, Shaftesbury, Banger Films and Insight Productions.